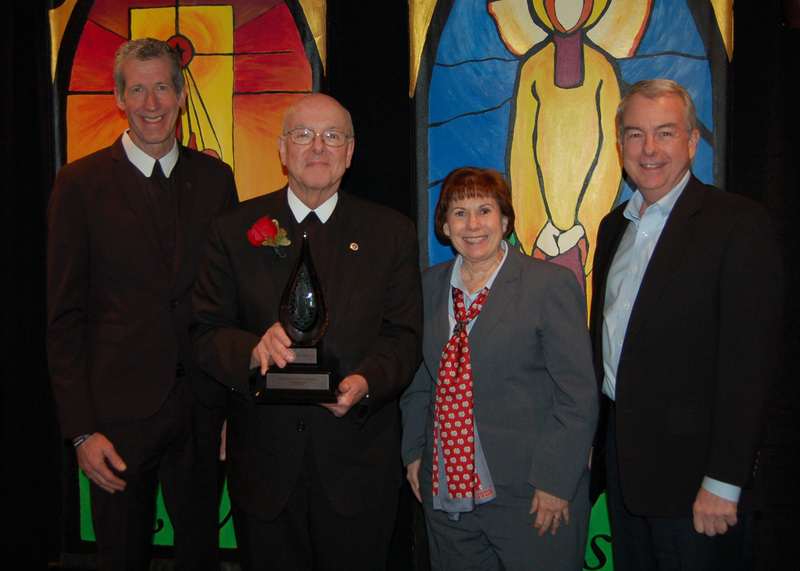 As part of the Huether Lasallian Conference’s opening session on November 20, 2014, the Lasallian Region of North America (RELAN) honored Brother James Gaffney, FSC, D.Min., with the Brother John Johnston, FSC Award. The award honors Brother James, president of Lewis University in Romeoville, Illinois, for his many years of impactful service to the Lasallian mission. 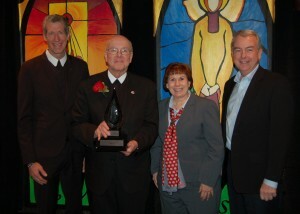 Brother James called the award a recognition of the Lasallian community at Lewis. He considered Brother John a mentor and someone who has a tremendous influence on his life. Brothers John and James served as Visitors at the same time, attended General Chapters together, and served on commissions together. Now in his 27th year as president of Lewis, Brother James has led the university during a period of significant growth. Enrollment has increased to nearly 6,800 students, and Lewis has received regional and national recognition for its academic quality. During his tenure, academic offerings have expanded to include more than 80 undergraduate programs, 30 graduate degrees, and doctoral programs in education and nursing. The campus has been transformed through an investment of approximately $250 million in numerous construction and renovation projects. Brother James recently announced that he plans to retire as Lewis’ president June 30, 2016. Active in more than a dozen organizations, Brother James chairs the Lasallian Association of College and University Presidents (LACUP) and the Community Foundation of Will County. He also serves as a member and former chair of the Federation of Independent Illinois Colleges and Universities, and a board member and former chair of the South Metropolitan Regional Higher Education Consortium and the Great Lakes Valley Athletic Conference. An alumnus of Saint Mary’s University of Minnesota, he holds master’s degrees from Saint Mary’s and Manhattan College in New York, plus a doctorate in pastoral theology from the University of Saint Mary of the Lake in Illinois. He previously served as the former Chicago Province Visitor, vocation director and formation director, and taught in Lasallian high schools. 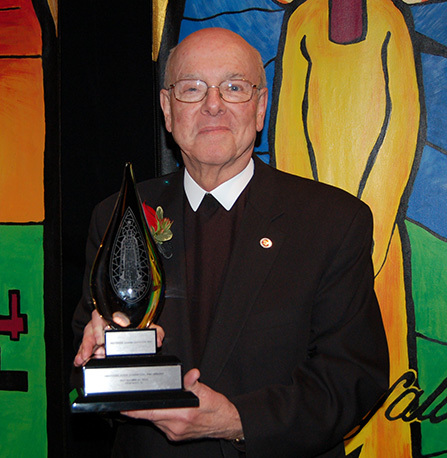 The Brother John Johnston, FSC Award was named in honor of Brother John, the 25th Superior General of the Brothers of the Christian Schools, for his uniquely significant lifetime contribution to the Lasallian Educational Mission. This award was established to recognize Brothers and Lasallian Partners who, like Brother John, have endeavored on the international or Regional levels over the course of many years to advance the Institute’s Mission to provide a human and Christian education to the young, especially the poor. The inaugural recipients in 2009 were Brother Miguel Campos, FSC, and Brother Luke Salm, FSC (posthumously). Previous recipients include Fr. Kenan Osborne, Bro. Frederick Mueller, FSC, Bro. William Mann, FSC, and Brother Lawrence Goyette, FSC. The Huether Lasallian Conference is taking place in Chicago November 20 – 22 with the theme The Lasallian Mission: Word, Witness & Invitation. Check this page for updates from the conference. Also, follow highlights as they happen on Facebook and Twitter with #Huether2014.